The Video Games market in the biggest market within Digital Media. The worldwide revenue of US$77.3 billion in 2018 is expected to grow to US$92.1 billion in 2023. 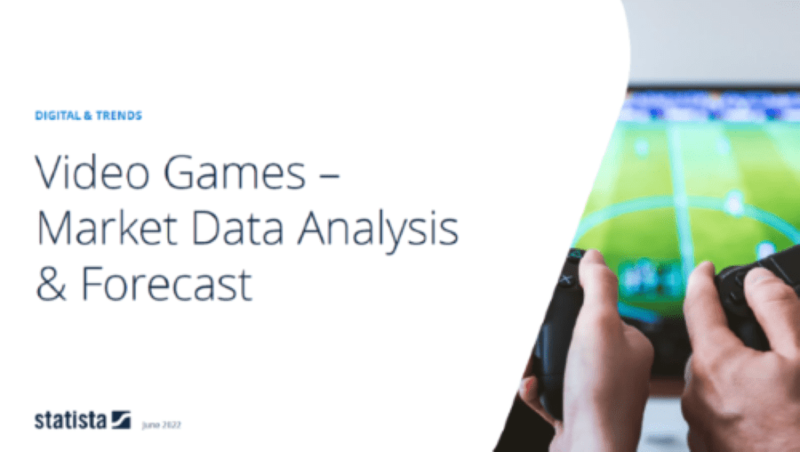 The report covers the Digital Media segment Video Games. Video Games are defined as fee-based video games distributed over the Internet. Digital games include downloads of full versions for gaming consoles or PCs (installation required), mobile games for smartphones and tablet devices (paid app downloads and in-app-purchases) as well as paid or freemium online/browser games which can be played online and do not require an installation (subscription-based and in-game purchases). Physical video game sales, demo/trial-versions and free-to-play online-games are not included.